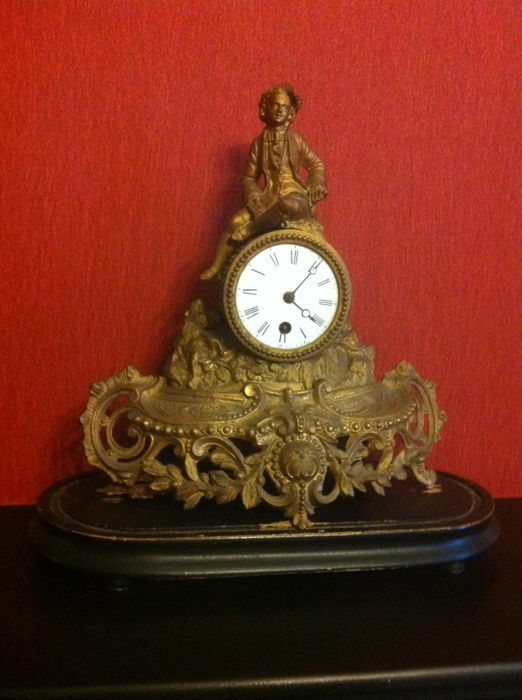 Mantelpiece set - J. Brunfaut - 1880/1890 clockmaker H.B. Antique gold-plated mantelpiece set by J. Brunfaut. Height 32 cm, width 30 cm, depth 13 cm. The small missing pieces of the mantelpiece set are still present. Found in the attic, needs to be cleaned. The glass bell is missing. The clock has a white enamel dial with Roman numerals. 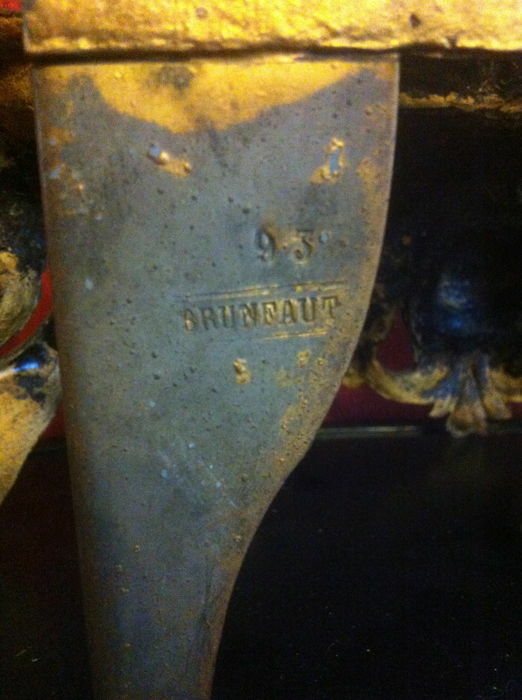 It is marked H. B with serial number 189. The winding key will be included. The clock no longer works. This lot can be picked up in Aalst (East Flanders), Belgium. In case of shipping it will be registered and the costs are for the buyer's account.